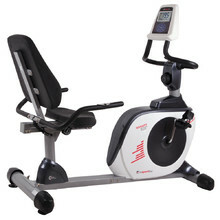 Recumbent Exercise Bikes are a popular equipment for exercising the lower part of your body. 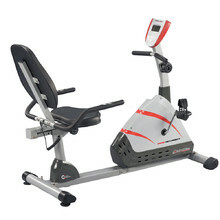 The notable feature of these machines is a comfortable saddle with a back rest and handlebars at the side. 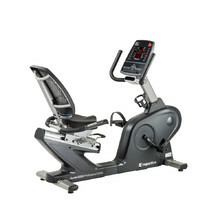 This allows for more comfortable seating position than on a classic exercise bike. 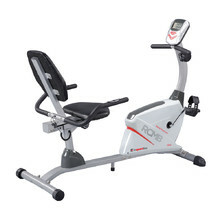 These attributes make recumbent exercise bikes especially suitable for people with limited movement, people with bad balance or people having problems while sitting for a longer time. Recumbent exercise bikes are used as rehabilitation devices when you have problems with joints, feet and in other instances. You can choose both from home and commercial devices.